How do I get the Morgan's. In jp? Would it really be that beneficial? From my understanding JP gets tons of free stones and whatnot - so probably would be the same to just continue the account? True but atm it's only free dramas and mp a day ill tough it out tho. Six bleeping Maes omg what the Hell. I feel less ripped off if I pulled something else. How many days would it take to get my pad account moved to a new phone? its essentially instant. just need a new device code (in the options) anmd then download and enter it into the new phone. 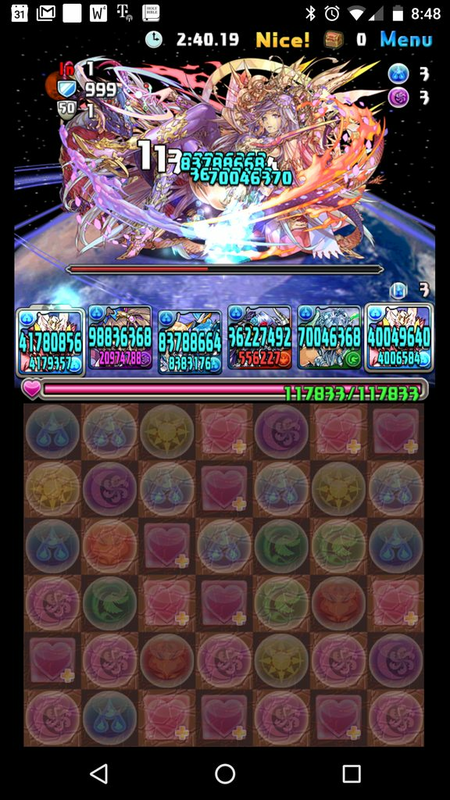 Stall or progress through the dungeon until the Li assist active skill is up on Rushana, pop the skill to switch Rushana in to the lead position and Shazel into a sub position, and, voila, you have dual Rushana leads with a 7x6 board. Match 3 crosses of green or light orbs and watch things melt. Navi was my starting 7x6 lead. It's not a fujin or Sonia but welcome home my scheat. Blue hunter and revo orchi are your new friends. Oh god don't roll I had orchi for a while and I rolled 3 delegates back to back. I just had free stones to blow. Scheat was owed to me by the luck God's. Weld on enra is insane. I love it. I did but I forgot tardis. God plead give me a cotton and fujin and groina. This godfest. I'm tired of res and damage shields. I want gronia so bad now. Tardis and diablos needs a cute friend. Nothing to do but wait for the next colab.. or seasonally rem. Anyone have the gifs for awoken Sonias?